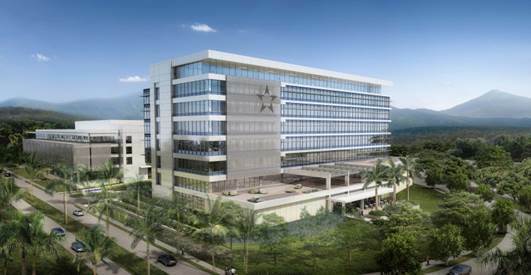 Manhattan PM (Panama) provided comprehensive Program Management Services on this Corporate Campus for Banco General. The project includes an eight-story office building with a glass curtainwall with stone and metal architectural cladding, a five-level parking structure and a two-level plaza with lower level parking. The high security building houses 2,300 employees. The Campus is the first project in the Metro Park Development, which has stringent development guidelines. Project Design by BHDP Architecture.